My super creative and talented cousin recently started blogging. Her blog, Out Creating Designs, focuses on ideas for design from refinishing furniture she finds at local antique stores to creating signs for the home all while being a mom to five kids. She recently moved to Raleigh, N.C. and has a space at Suzanna’s Antiques to sell her pieces. 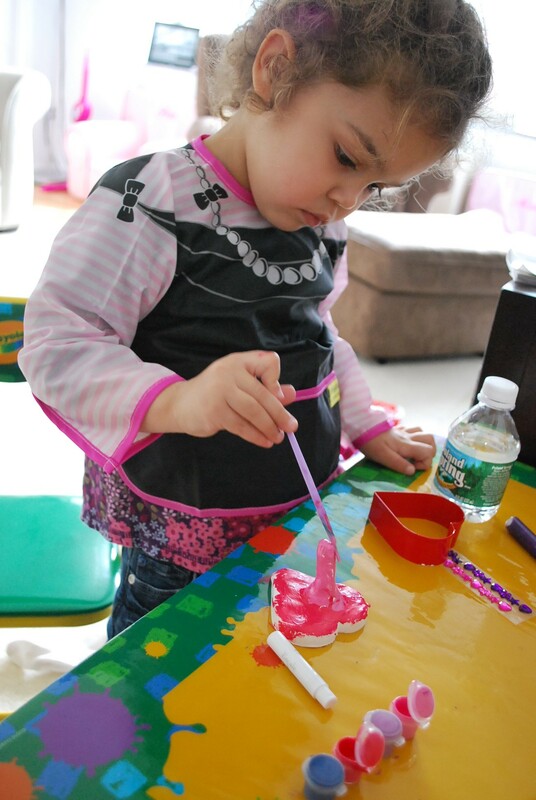 She has made so many wonderful things for my girls and is always giving new ideas to include on my blog. 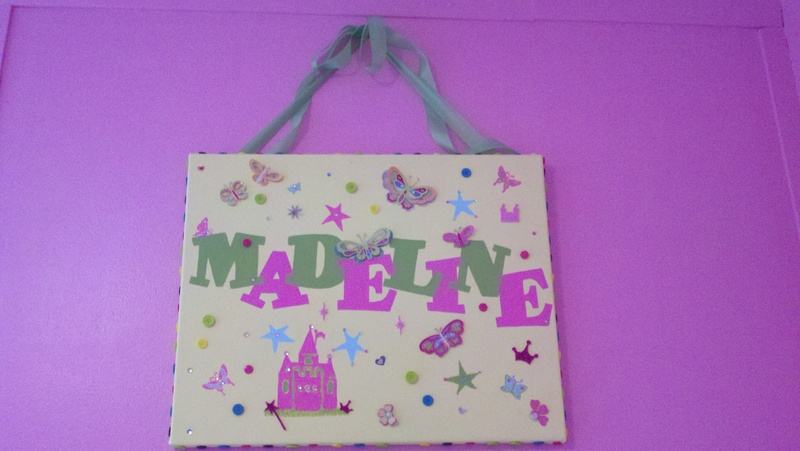 An adorable sign she made for my baby shower and Maddie's room. The other day she told me about edible hand and foot sugar scrubs she has made with her kids. She has made scrubs in Vanilla, Lemon and is working on a Brown Sugar Chocolate scrub. They would make a perfect gift for a Valentine’s Day or Mother’s Day. 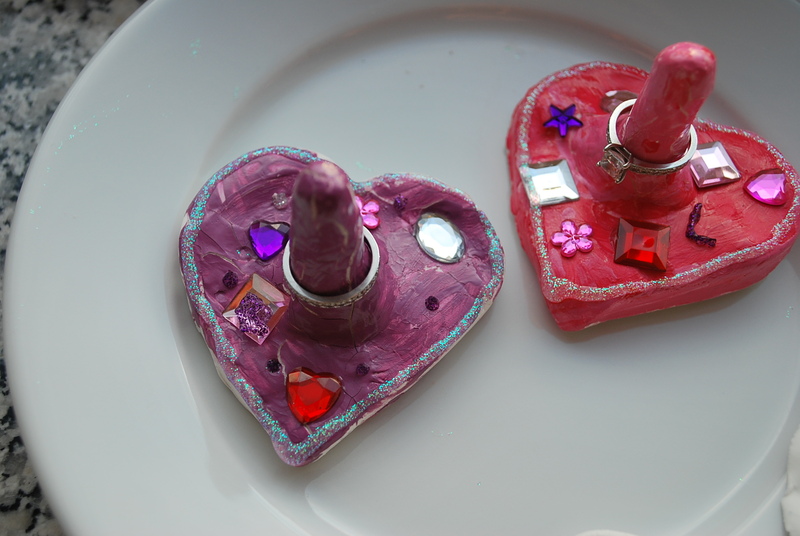 I am going to make some with the girls to give with the ring holders for wedding gifts for my friends. Keep checking her blog for the perfect sugar scrub recipe. I can’t wait to make them. When two of my closest friends got engaged I wanted to give them a little something special from the girls. While, Pela was napping the other day, Maddie asked to do arts and crafts. 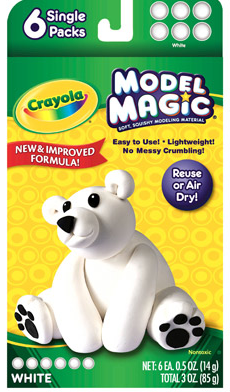 She wanted to play with her Crayola Model Magic, or the “polar bear arts and crafts” as she called it, so I started thinking of what she could make for gifts. A ring holder came to mind because if they take their rings off as much as I do for cooking, cleaning, showering, and sleeping then they can always use more than one. 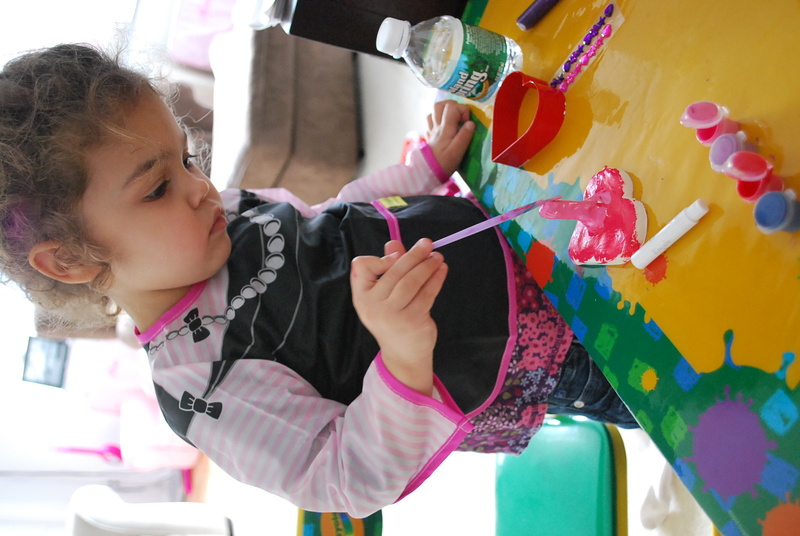 The ring holder was very easy to make and a perfect activity for a rainy day like today. They tuned out great and would make a wonderful Valentine’s Day or Mother’s Day gift. SuPper Suit Bib (check out the giveaway) or any art smock. *We didn’t use it until it was too late, so make sure to put it on before you start. Flatten Crayola Model Magic, and work clay so there is a cylinder type pole in the center, this was hard so I had to do the molding. flatten area around the pole. This was challenging for Maddie, so I did the molding. Make sure it is not too thick so that rings for small fingers can fit. Once the area around the pole for the rings is flat and even, place cookie cutter centered over the pole and cut out the shape. 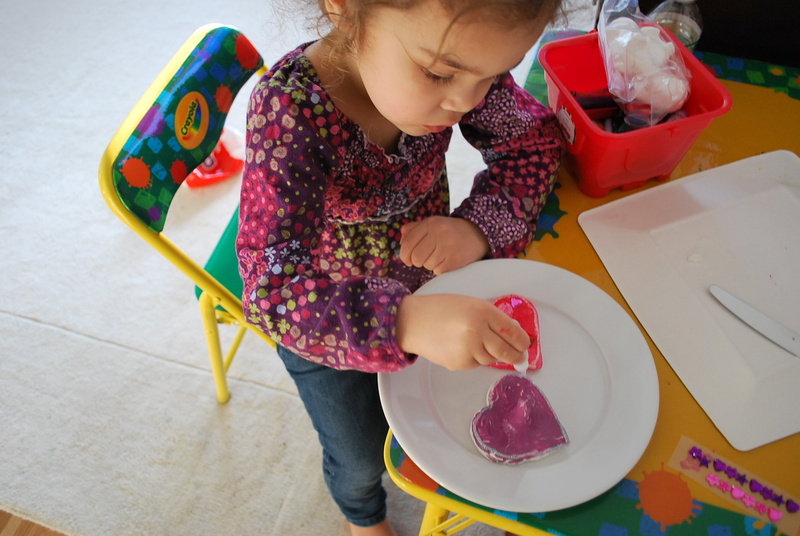 Maddie did this but needed help getting the cookie cutter off from the clay. 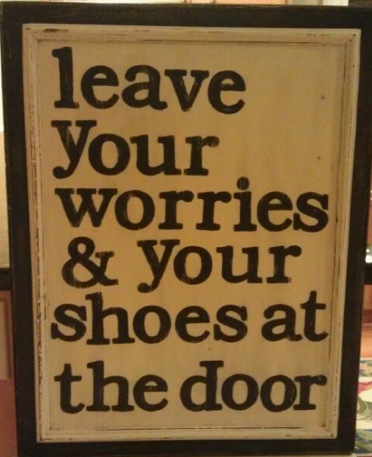 Let air dry, no baking required, and paint. Maddie wanted to paint and add decorations immediately. If your little one can’t wait it was ok that we did it all at once. We used a sharpie marker to write a special little note on the bottom for our friends to always remember who the special little gift was from. SuPper Suit is giving away one “tuxedo” bib and one “little black dress” bib to two Tastefully Childish readers. To find out more about the SuPper Suit visit my review or their homepage. “Liking” Tastefully Childish and SuPper Suit on Facebook. Leave a comment with “T.C. GIVEAWAY” and either “Little Black Dress” or “Tuxedo”, depending on which one you are entering to win. Follow @tastefulychldsh and @SuPperSuit on twitter and tweet about the giveaway. After you enter, visit the SuPper Suit on Etsy! 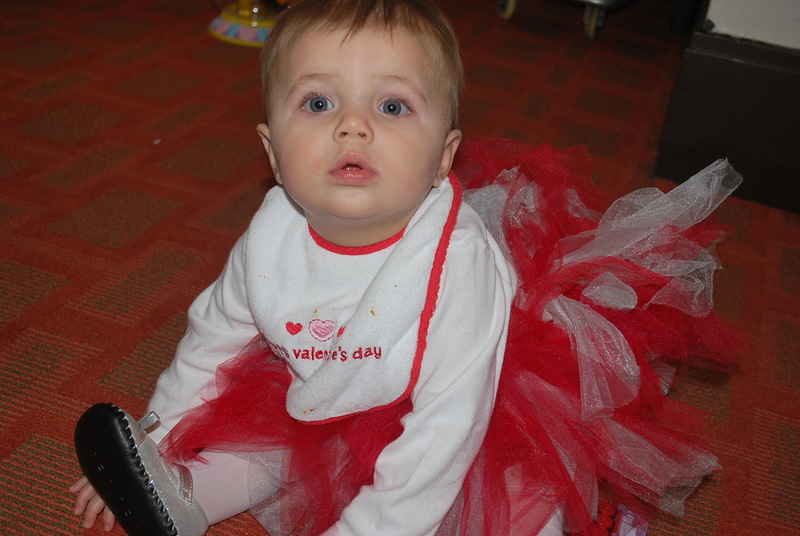 All entries must be submitted by 11:59 pm on Thursday, February 1, 2012. The Super Cute SuPper Suit! 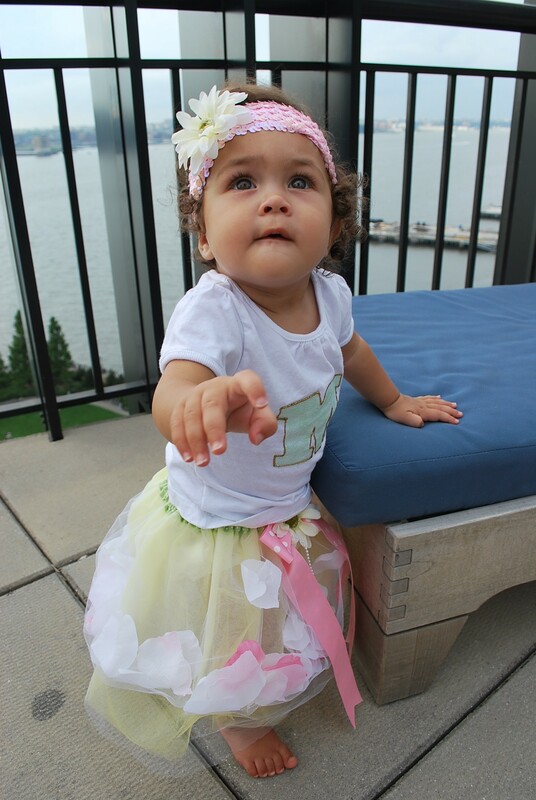 Maddie’s godmother recently got engaged and asked her to be a flower girl in her wedding. Maddie was a flower girl once before and the biggest problem was keeping her dress clean, especially when it was time to eat dinner and cake. I tried using a bib but it was easily pulled off, not to mention it had a duck on it and didn’t really go with the formal attire. I came across the SuPper Suit on twitter and immediately thought it would be perfect for keeping her flower girl dress clean this time around. The SuPper Suit is not your typical bib. It is a smock type bib that covers the front upper half. To put it on, the arms go in first and there is a Velcro closure in the back, making it hard for the child to pull off. It is light weight, waterproof, and has a pocket for dropped food. It includes a travel pouch for easy, on the go storage in your purse, pocket, or snack bag, even when dirty. You can order the SuPper Suit in two adorable styles, a “little black dress” for girls and a “tuxedo” for boys. These styles are perfect for any occasion, keeping the messiest of eaters clean and saving their sleeves from ketchup stains. Their fancy and stylish look makes them especially great for special occasions like weddings, holidays, birthdays, a special meal out or for everyday use. The super cute SuPper Suit retails for $15.00 and fits children up to 37 pounds. The “little black dress” and “tuxedo” can be purchased on their website or on Etsy. While you are shopping or surfing the web, like the SuPper Suit on Facebook! I received two “little black dress” SuPper Suits for review and I keep referring to them as the Super Suit. 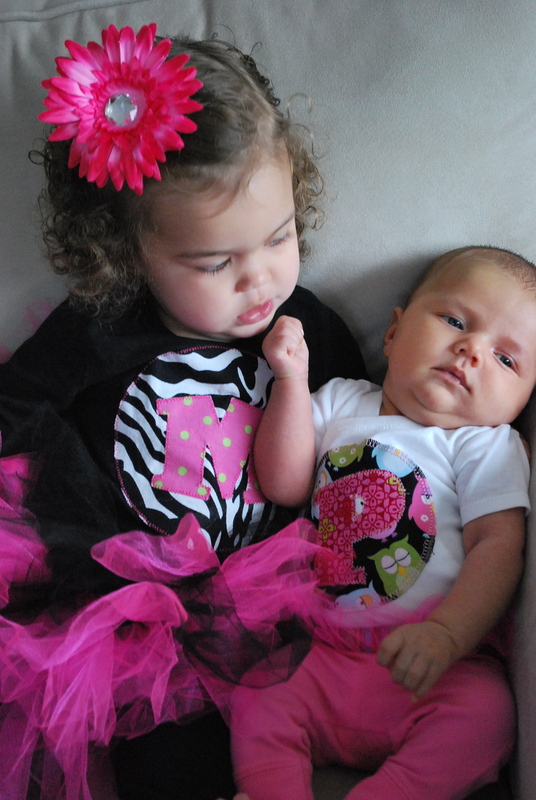 Although it is a little short on Maddie, it has saved many shirts and dresses for both girls. The SuPper Suit is not only wonderful for food but it is also perfect for art projects as well as dress up and role-playing. 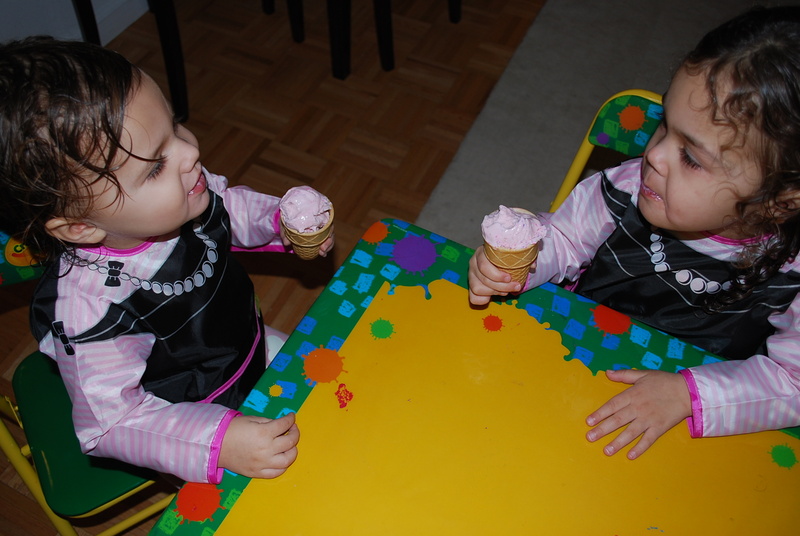 The girls love to play “fancy restaurant” and they have used their “little black dresses” along with a skirt when they play. It is very easy to clean, all you need is a damp sponge and mild soap. 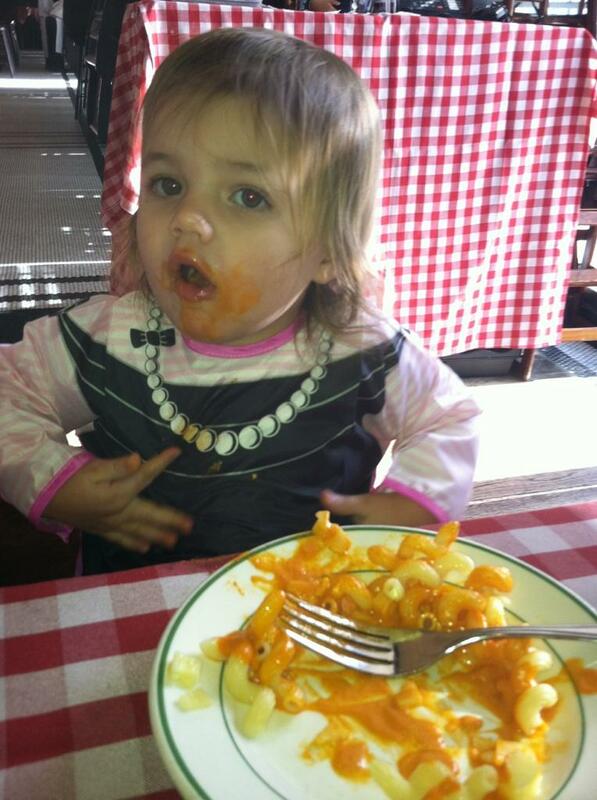 It took a little extra muscle to get off when Pela smeared the tomato soup and pasta into it. We LOVE our SuPper Suit and highly recommend it, especially for little ones just beginning to eat. It is the new favorite out of the many bibs we own. Out to dinner to celebrate being a flower, look what could have happened to the sleeve of the beautiful dress underneath. Saving the PJ's from a sweet treat after bath time! Not just for meal time... perfect for dress-up too! 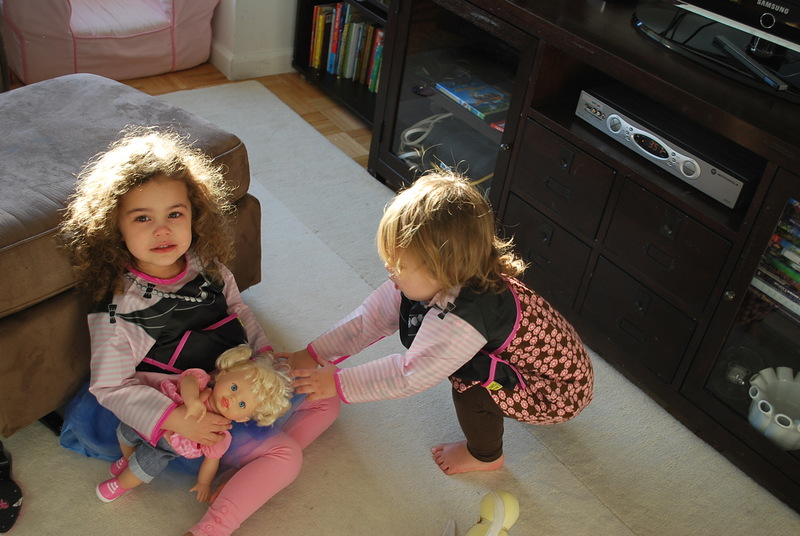 Some more pretend play and sisterly "love". Keep checking back for a Giveaway in the next couple of days! Disclaimer: I did not receive compensation for this post. I received two “little black dress” SuPper Suits for review. All opinions expressed are my own. 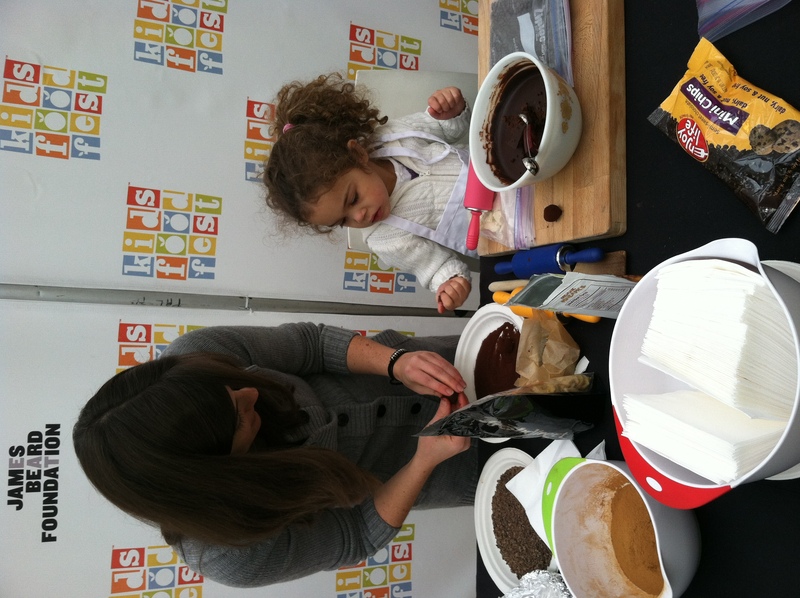 My mom, Maddie and I braved the snow yesterday and headed to the Kids Food Festival NYC at Citi Pond at Bryant Park. I signed Maddie up for the Allergy- Free cooking event with Kristin O’Connor. 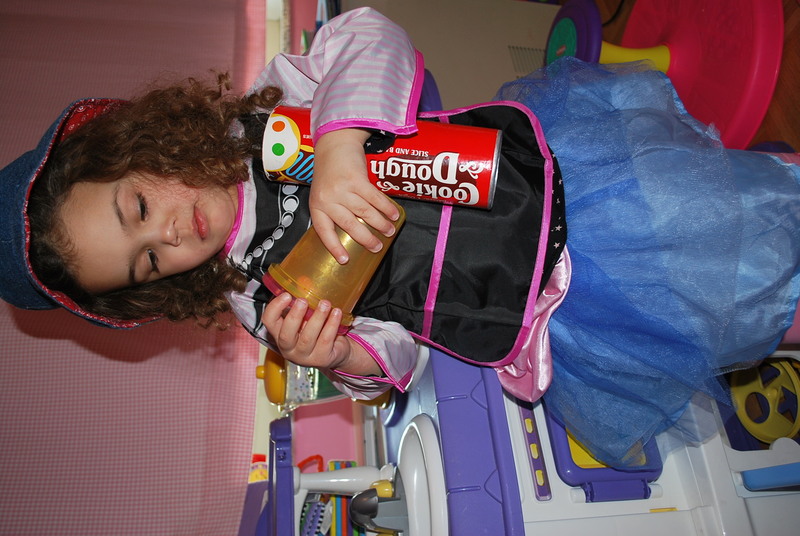 Maddie was able to help pour, mix, and crush ingredients to create chocolate truffles. She rolled the chocolate into balls and covered them with cinnamon, crushed dried pineapple, and crushed dried apple. 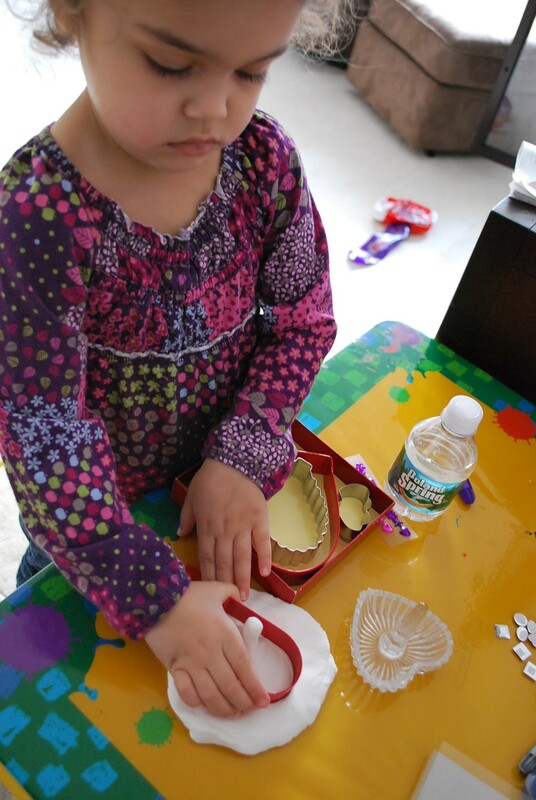 While she was learning to make the truffles, she tasted the different ingredients she was using. Her favorite ingredient by far was Enjoy Life Chocolate Chips. I have been looking for allergy friendly chocolate chips to use for pancakes, cookies and frozen yogurt for sometime now and have finally found some that are soy, dairy, and nut free. Kristin was kind enough to send the remaining bag home with Maddie and she has been eating them as a snack. I tried them and you would never know that they were different then your regular chocolate chips. They tasted the same if not better. Maddie had a wonderful time cooking with Krisitn. 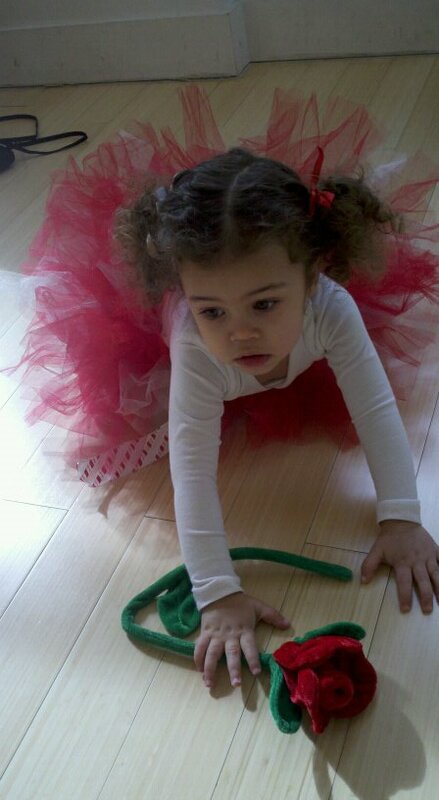 She was so excited to bring her truffles home to Daddy and Pela. The truffles were amazing, the entire family enjoyed them. The recipe will be featured in her book, Personalized Living..Using the Blood Type Diets, which will be in stores on February 14, 2012 and will include other recipes for eating right for your Blood Type. At the Kids Food Festival Maddie also participated in the USDA Choose My Plate Scavenger hunt. She went to different booths which included Plum Organics, Horizon Organic Dairy, Wild Planet and Little Duck Organics to collect stamps for each of the food groups on her plate. 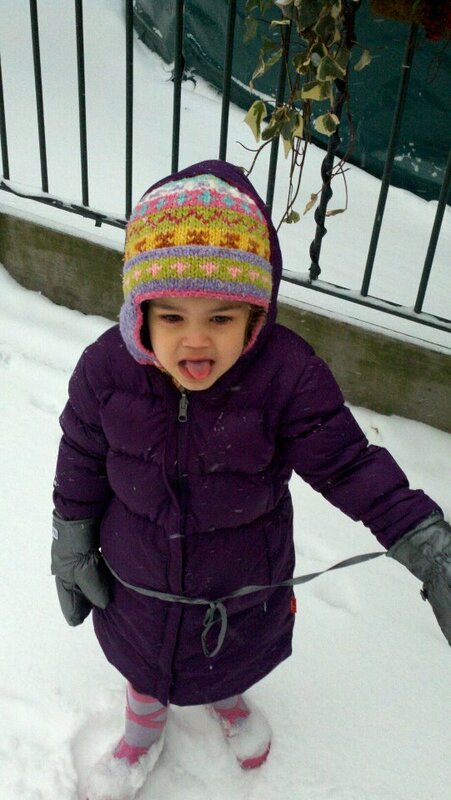 She had a great time despite the cold and snow. Kids Food Festival will be traveling to Washington, D.C., so I think we will have to make a trip so she can go with her cousins who live down there. 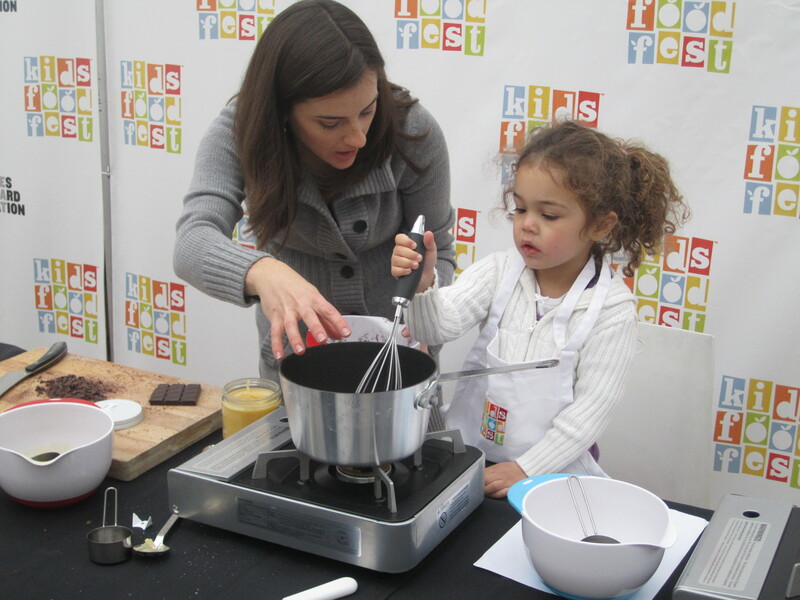 Keep checking the Kids Food Festival website to see when it will be held. I am very excited to take Maddie to the Kids Food Fest tomorrow morning. She will be doing the Allergy- Free cooking class with Kristin O’Connor at 10:00 am. I checked out Kristen’s new blog, Personalized Living: Using the Blood Type Diet, and came across this Sweet Potato Pancake recipe that I want to make for the girls. It looks so delicious, I can’t wait to see what she does with the kids tomorrow. If you are looking for something to do this weekend, check out the Festival. There are a lot of fun events to sign up for and a portion of the proceeds will go to charities to help battle childhood obessity. It’s not too late to get tickets! 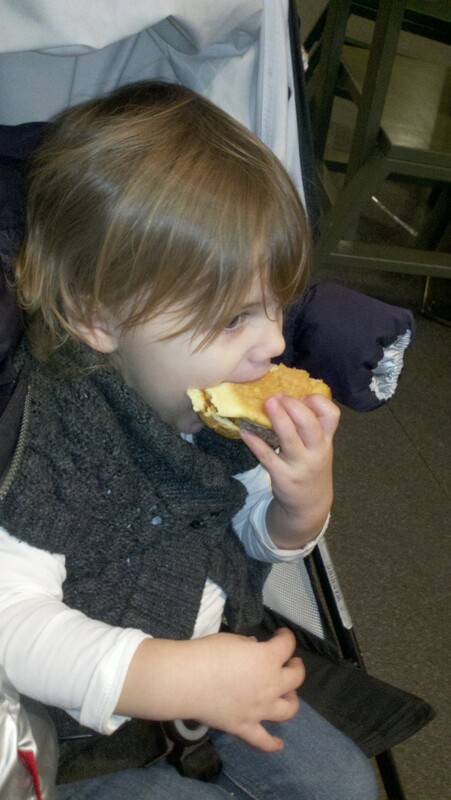 Wordless Wednesday: We LOVE Shake Shack! 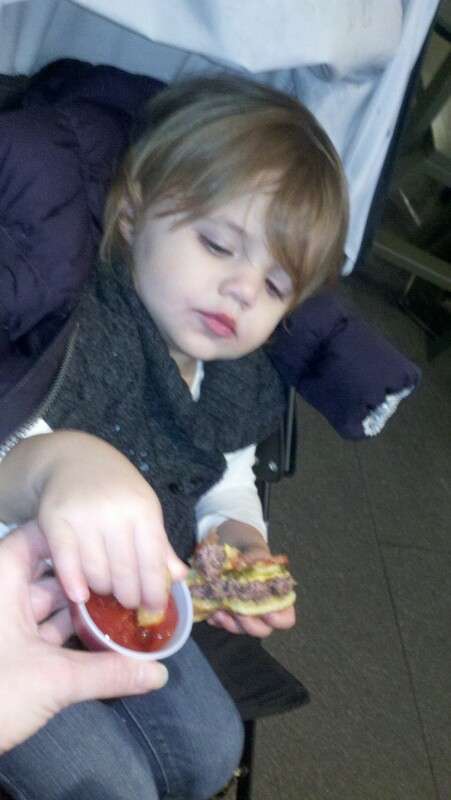 The girl’s love making special trips to Shake Shack! They even have a special dance they do when they go! Yummy! Click on the Shake Shack Logo to find your closest location. Don't worry D.C. friends and family there is one near you too! Everything Tastes Better With Sprinkles! Maddie has decided that she wants sprinkles on EVERYTHING. It started over the holidays when I made a banana and used red sugar sprinkles to make candy cane stripes. For snacks she asks for “sprinkle bananas” and she started asking for sprinkles in her pancakes. I usually don’t fight it because if, on occasion, a little extra sugar is what it takes to get the girls to eat then I am for it. 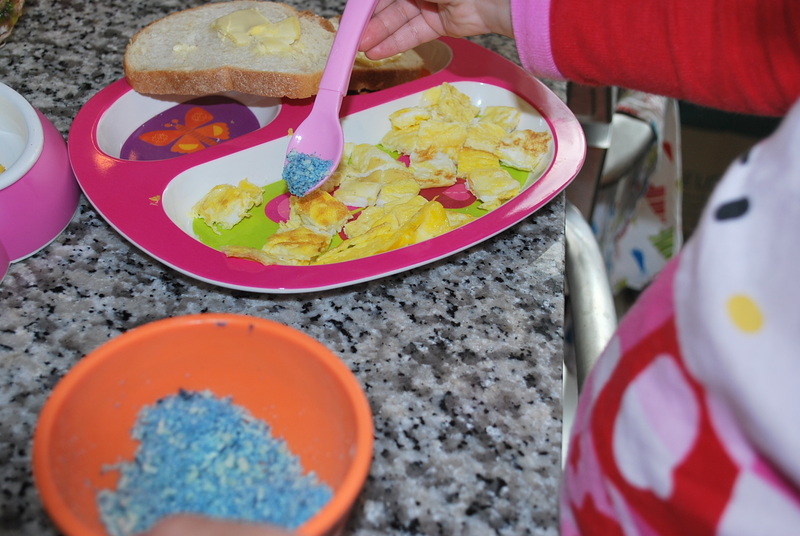 Last week Maddie asked for sprinkles on her eggs and another day on her vegetables. The thought of sugar sprinkles in eggs, or even on vegetables didn’t seem like a very good combination. I looked in our fridge and saw that we had freshly grated parmesan cheese. 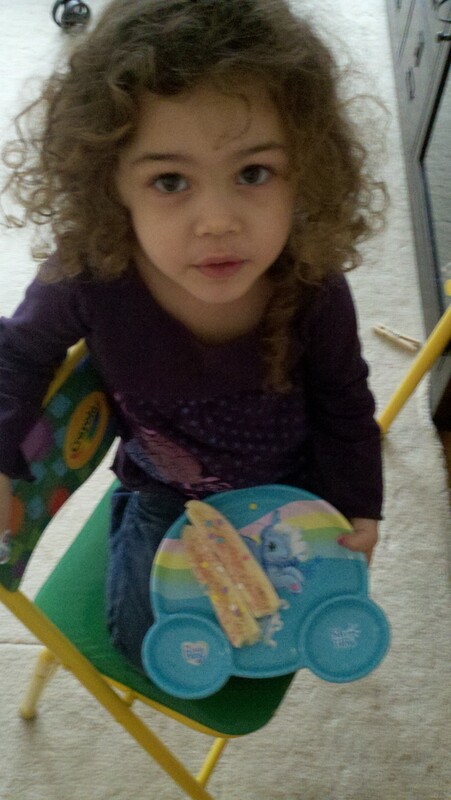 When I told Maddie she could use the parmesan for sprinkles, she looked upset and said but they aren’t colored. I grabbed some food coloring out of the closet, put a drop or two into some the cheese and we had “colored sprinkles”. 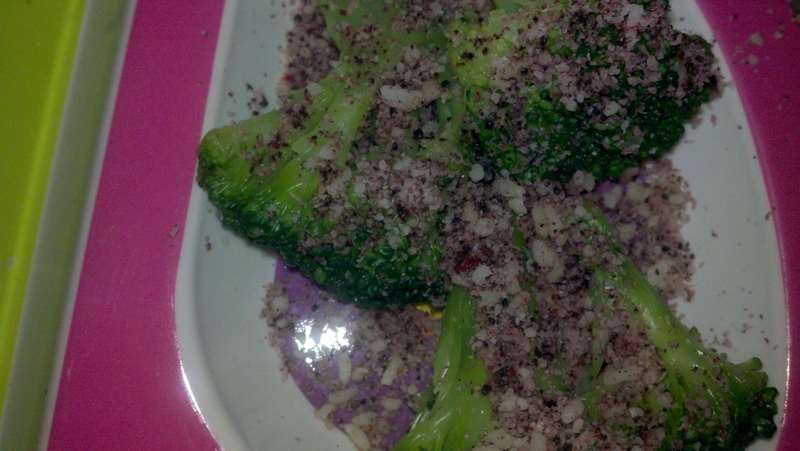 Since, we have used parmesan colored “sprinkles” on vegetables, pizza, in pasta, and most mornings on scrambled eggs. It is amazing what a little color and some sprinkles do to my girl’s opinion on how their food tastes. Whenever, there are “sprinkles” on their plate they eat all of their food and tell me how “yummy” it is. Today, Maddie asked if she could have sprinkles in her water. The girls were sick with a horrible cold for the past month, so they would only asked for juice. They didn’t touch water or milk. When Maddie asked for sprinkle water I thought, sure why not make her a special water in hopes that she will start asking for more water. I wet the rim of a plastic cup, and put it in some sugar sprinkles. 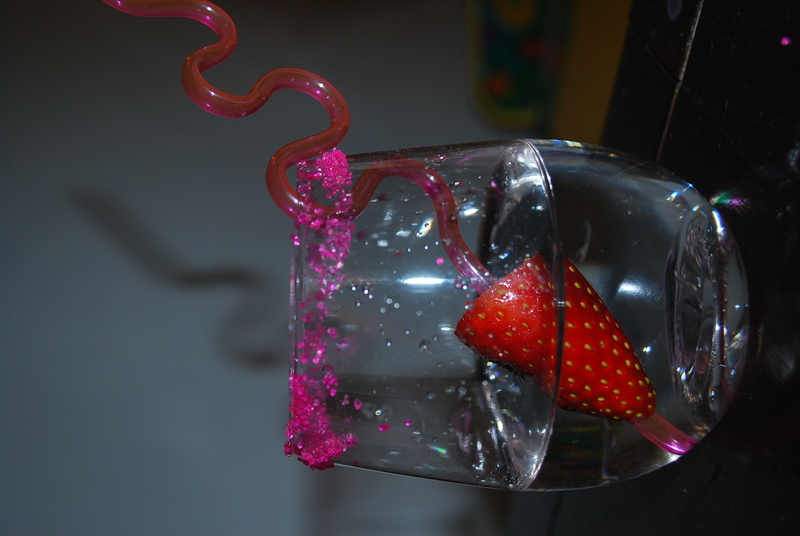 I then pushed a strawberry through the bottom of the straw and she had a special drink. She drank all of the water and of course licked the sugar off. A fun treat but I definitely won’t be doing it all of the time because it probably isn’t any better then giving a glass of juice. 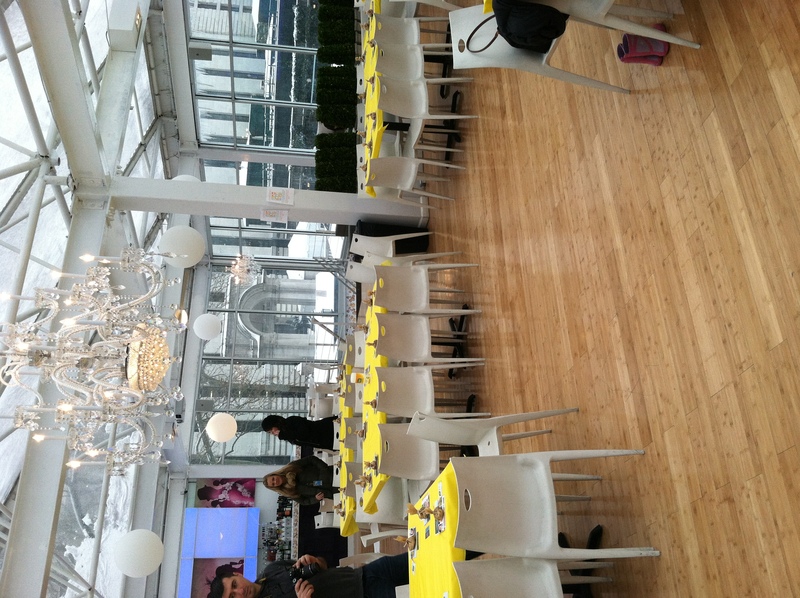 It would however, be great for a Valentine’s Day party or to serve at a kid’s birthday party. 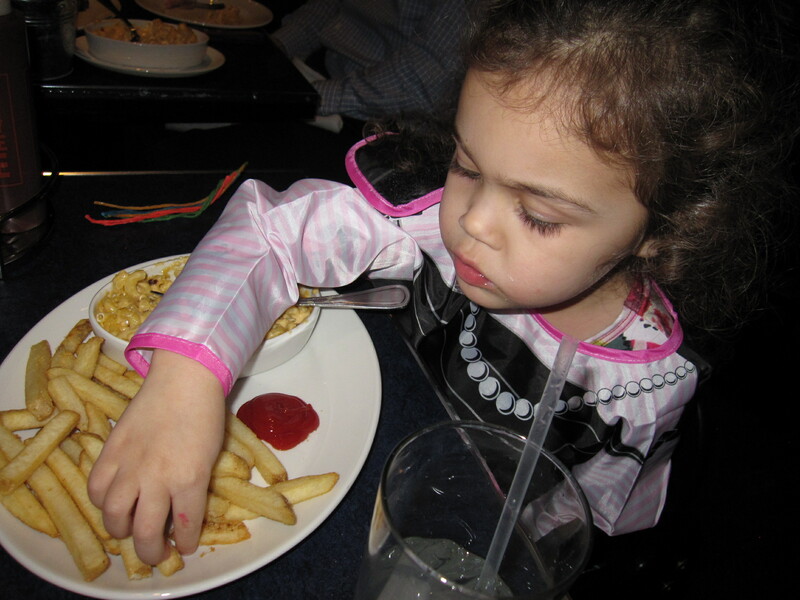 Getting the girls to eat anything other then pasta with butter, mac & cheese, or pizza is usually a challenge. I usually have to add some type of fun twist to the meal. 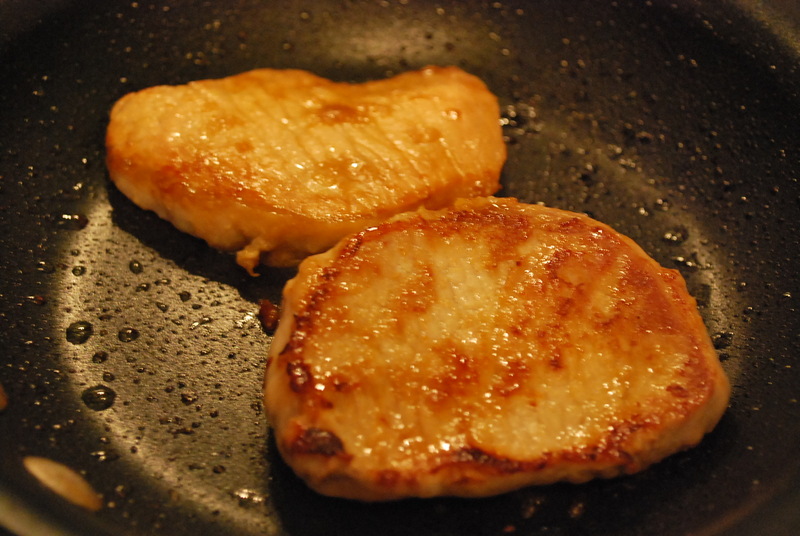 When I made this Soy Ginger Pork Chop for them they devoured it, which rarely happens, so I thought it would be good to share. When I have made it in the past I usually just throw together the ingredients but I measured it out when I made it the other day. 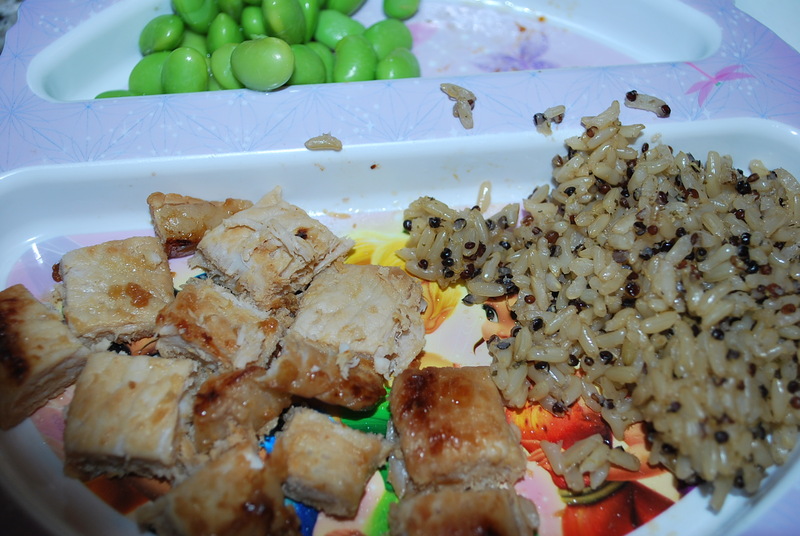 Mix Soy Sauce, Orange Juice, Ginger, Garlic and *Wasabi* together in a small bowl. 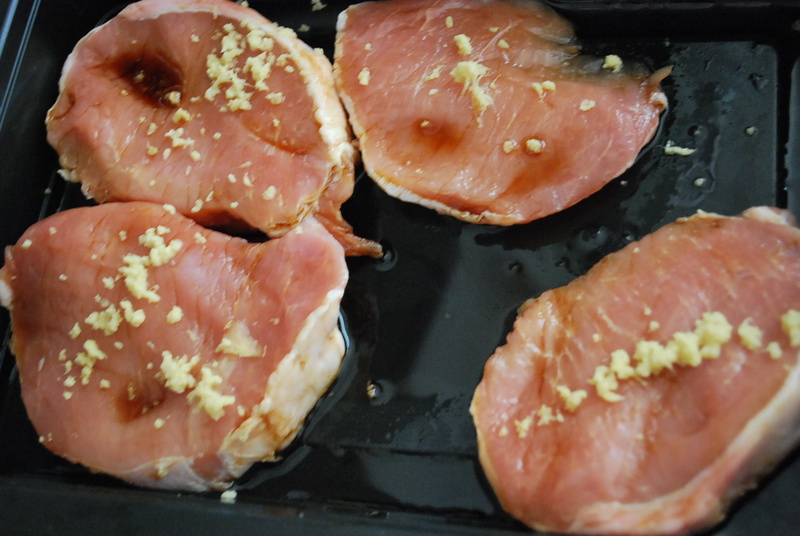 Place Pork Chops in a storage container or zip lock back, I used tupperware. Evenly distribute mixture over both sides of the pork chops. I flip the pork chops in the mixture to evenly coat. Add more ingredients if wanted or needed. I add more ginger on top of each chop. Let Pork Chops for a couple hours. I used FunBites CubeIt to cute the girls pork chops. I was cleaning out my kitchen this morning when I found this card in a drawer. I received it a while back while shopping at Whole Foods and I guess I just stuck it in a drawer. It is actually really helpful because I never know what to buy organic and what not to buy. I am usually rushing through the store and don’t pay attention to labels, organic or not. When I read that by buying the “Dirty Dozen” organic, it reduces up to 80% of toxins you ingest. I better start carrying this in my wallet to keep our family eating healthy. Check out the “Dirty Dozen” and the “Clean 15”.